Vegan Proteins and Amino Acids: Living Traditionally Spirulina is a great source of highly usable and digestible Proteins and 9 essential Amino Acids. Good for vegetarians, vegans and athletes (increases endurance and muscle strength). Provides the essential fatty acid GLA. High in Omega’s 3, 6, and 9! Cholesterol and Blood Sugar Management: Spirulina has been shown to lower blood sugar levels and HbA1c levels. It also may help lower triglyceride and LDL cholesterol levels while increasing HDL levels. 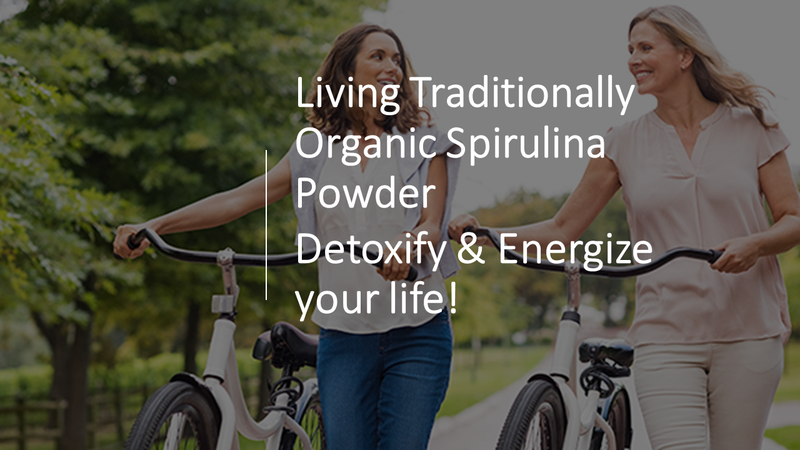 Increases Immunity and Digestion: Spirulina helps treat Candida and Yeast infections. Candida is a hallmark of autoimmune disease. Helps prevent leaky gut syndrome. Reduces acidity in the gut and helps lower risk of infection. Increases immunity and energy levels! 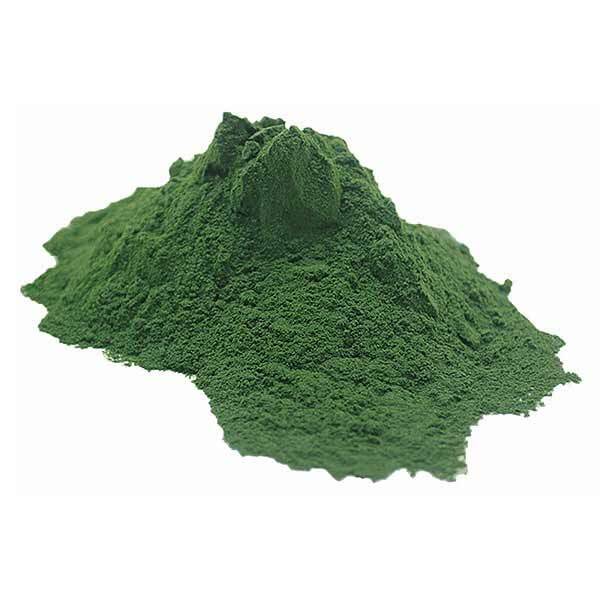 Vegetarians and Vegans: Due to large levels of highly usable proteins and amino acids, Spirulina is a great way to get these essential nutrients without compromising dietary requirements. 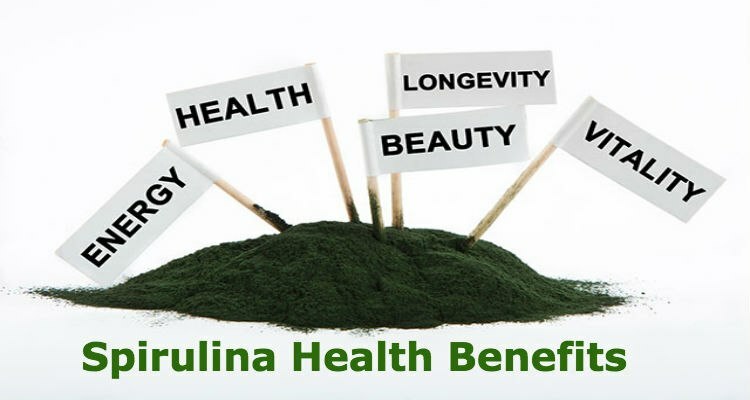 Increasing weight loss: Spirulina has been shown to increase fat burning and weight loss during exercise. Because it reduces oxidative stress on muscles, it helps prevent muscle fatigue and damage while increasing endurance. Diabetes and cholesterol Management: Spirulina has been shown to lower blood sugar levels and even HbA1c levels. It also has been shown to lower triglyceride and LDL cholesterol levels while increasing HDL levels. How to Use: Add 1 tablespoon (about 7 grams) to water, juice, smoothies, soups, dips, sauces, etc. or even sprinkle directly on food to increase its nutritional value. Blends well with Wheatgrass Powder and Turmeric. Safety: While Living Traditionally’s Organic Spirulina is generally considered safe, those taking anti-coagulant medication or who have PKU or a Autoimmune disease should consult a physician before taking Spirulina. In addition, anyone pregnant or nursing should ask their doctor before taking Spirulina or any dietary Supplement. I like the taste Organic Spirulina Powder. Ease of mind and it is smooth. I will be ordering it again. Great, easy to take. I only just started using it, so can't comment on how it works. I have given it a 4 because this is my first experience with Spirulina. What I can say is that I have a great amount of energy and so far I am sleeping for more hours that I have slept in the last 2 years. I plan to purchase more before my current pkg runs out. Great product.